It did happen here too, but I’ve been enjoying all the things I’m thankful for and I’ve just forgotten to blog. But here you have it, the thanksgiving blog-4 days later. 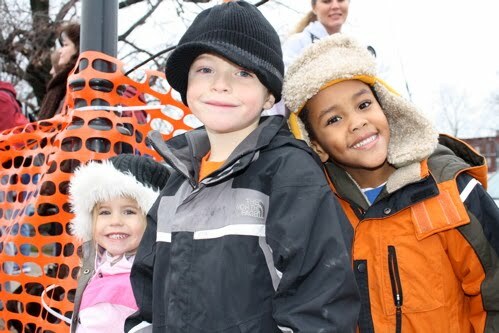 Every year we begin the thanksgiving events with the YMCA’s Turkey Trot. I run the 1 mile and Zach runs the 5 mile. I LOVE this family tradition. This year, Zach took Abe and they of course made quite the impression. On the way to the Turkey Trot, Doozie was feeling a little under the weather. The 1 mile runners. The boys were big fans of sprinting then walking, sprinting then walking. Made it tough to actually run a mile but it was lots of fun watching them get excited. Waiting to spot daddy and Abe. Puh-lease can’t believe I get to call them mine. 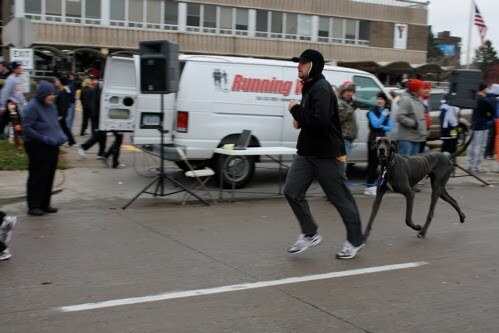 Sadly, the only picture I have after the trot is this one. 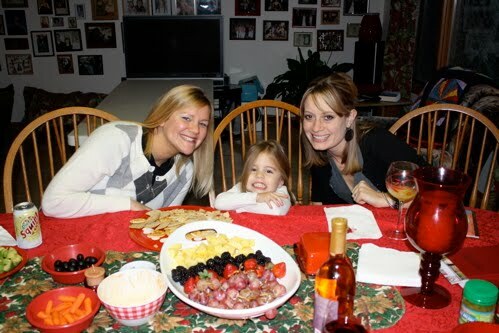 Doozie with 2 of her aunts. Emily and Leslie. The rest of the time can pretty much be summed up by the fact that I wanted to go to bed at 6:15. How fun! 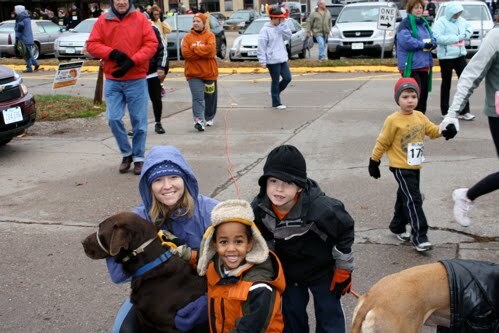 We just ran in our first Turkey Trot this year. Ours is a 10k. Loed the pics!